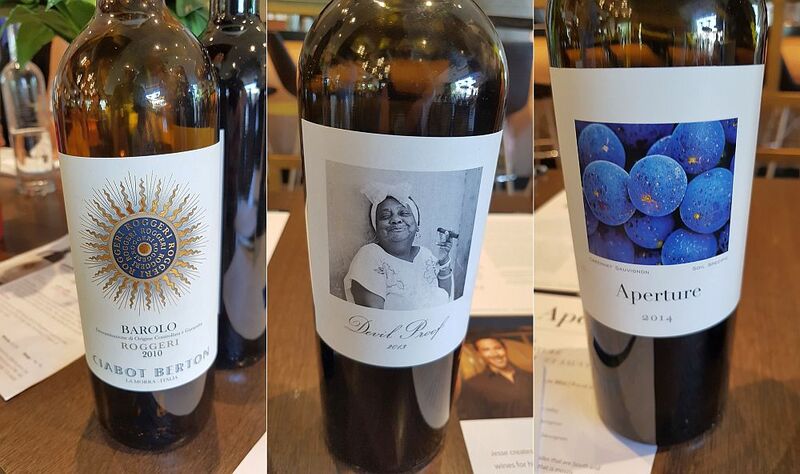 This was my first portfolio tasting for Amo Vino Distributors, a small boutique wine agency co-founded by Marisa Varas and Jessica Luongo. 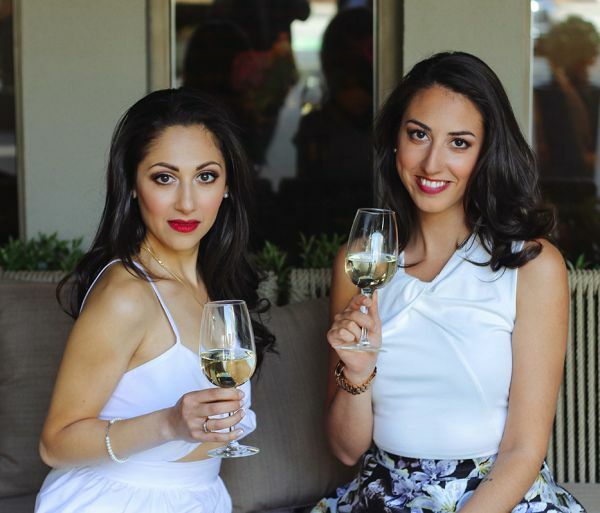 Their wines are primarily from Europe, but there are also some California and BC wines to be found. 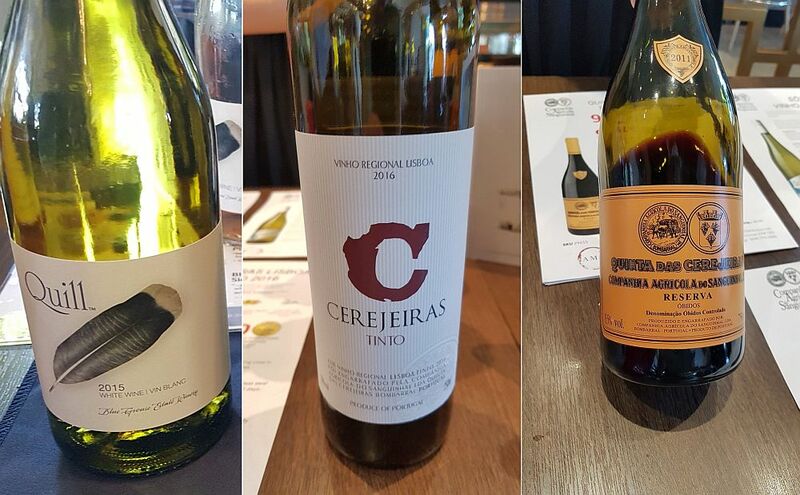 The wines from Greece and Portugal figure prominently, along with their country’s indigenous grapes. You won’t find a huge list of Merlot, Chardonnay, and Cabernet Sauvignon in this portfolio. Rather you will see Agiorgitiko, Malagousia, Touriga Nacional, and more. This is exciting as I do enjoy trying wines from different countries and different varieties, and sharing these wines with friends and family. Following are a few of my favourite wines from this portfolio tasting. 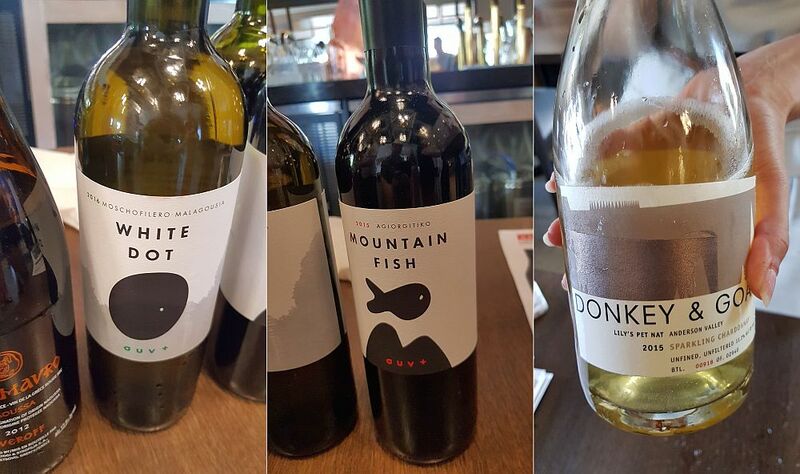 These are not wines that you find in the BC Liquor stores, so check for them at your local wine shop or at a restaurant. Enjoy. Strofilia Estate GUV+ White Dot 2016, Greece – A white blend of Moschofilero and Malagousia grapes. Nice nose, with aromas of pears and stone fruits. Dry with higher acidity, but still some softness. Apples and stone fruits on the palate along with a light delicate touch of rose petals. Mouthwatering finish. Donkey & Goat Lily’s Pet Nat 2015, California – This is a sparkling Chardonnay made in an ancient style called pétillant naturel; a technique to make sparkling wine long before the Champagne Methode was developed. Pet Nat is made by stopping an unfinished fermentation while there is still sugar left in the wine and then bottling the wine before allowing the fermentation to complete. The bubbles are created in the bottle, but you never quite know what you are going to get until you open the wine to enjoy it. This wine has a medium toast, apple and lemon nose. Off-dry, medium bodied with higher acidity. It is quite citrusy to start but finishes with apricot flavours. Tiny, biting bubble. A very nice wine. Agricola Sanguinhal Cerejeiras Tinto 2016, Portugal – A blend of Castelao (60%), Aragonez (30%), and Touriga Nacional (10%), grown organically. Medium minus translucent garnet in colour. A very floral nose, together with raspberries and red fruit aromas. Medium plus body, dry with fine tannins. Nutmeg, floral, red fruits and pepper on the palate. A fun wine. Ciabot Berton Roggeri Barolo DOCG 2010, Italy – A spectacular wine produced organically from 100% Nebbiolo grapes. This wine is medium minus garnet in colour; translucent to the core. Light aromas of cherries, vanilla and oak. Medium minus body, dry with a lighter mouthfeel and fine tannins. Red cherries, and hints of roses, sweet spices and oak. A quality wine. Aperture Cellars Devil Proof Malbec 2013, California – The grapes for this wine come from Northern Sonoma, Alexander Valley. The vineyard uses biodynamic principles. 2013 was a very hot year around the world for wine production. For Aperture Cellars the Malbec berries were smaller than normal due to the dry weather, which means more skin to juice ratio so more intense flavours for this wine. It is opaque ruby in the glass. Deep, sweet, ripe black fruit along with floral and nutmeg aromas. Full-bodied, with medium plus acidity, yet still round and great mouthfeel. Medium minus tannins. Sweet, ripe black fruits along with floral, sweet spices up front and finishing with some pepper and tart fruit. A concentrated wine. 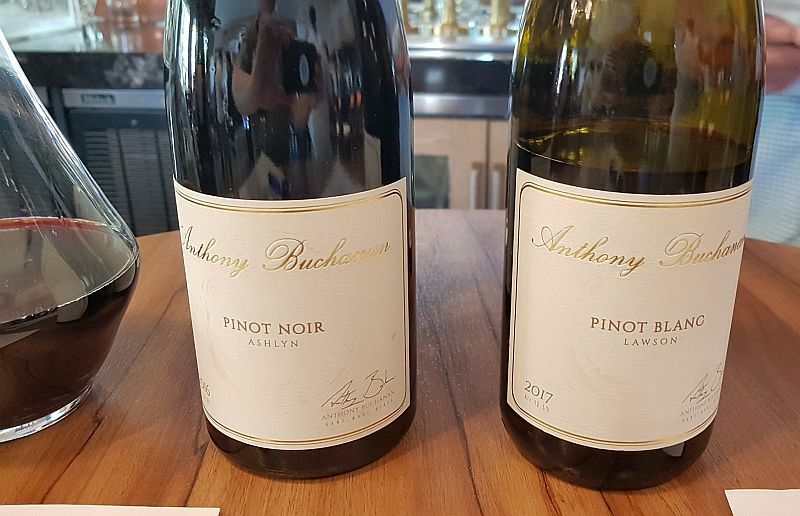 Anthony Buchanan Ashlyn Pinot Noir 2016, Okanagan, BC – The grapes for this wine come from the Kalala Vineyards in West Kelowna; originally one of my favourite organic wineries in BC. This wine is medium translucent garnet in colour. A nice aromatic nose, showing raspberries, red fruits, red cherries and a touch of vanilla. Medium minus body, dry with a lighter mouthfeel. Red fruit and brambleberry flavours to start followed by red cherries, sweet spices and vanilla. Quality.